Welcome! Our Mentor360: Professional Connections program reflects APhA’s commitment to you and your professional development. This unique online networking and career development tool helps you find, connect and share expertise with others. Your mentor or mentee can be in the same city or on the other side of the world. 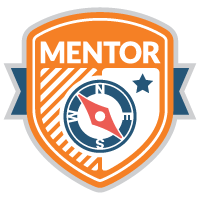 You may now enroll in the program as a mentor/mentee, search the directory for who you would like to connect with, and reach out to initiate a conversation with your potential mentor/mentee. You can enroll in our Professional Connections program in four simple steps listed below. Complete your Professional Connections profile. Make sure your contact information is up to date, add a recent professional profile picture, expand on your bio and import your education and job history information from LinkedIn. Having a complete and accurate profile is crucial to the success of selection and matching. Profile complete? Return back to this page and move on to step 2. Congratulations! You're all set. You completed steps 1-2 and are now ready for the fun stuff. Let the mentoring begin. Do one search or multiple searches. When you find a person you are interested in establishing a mentor/mentee connection with, click on the member's name to view their profile page. Look around. If you think it's a desired match, look under their profile image for the Mentor Match badge, which when clicked will allow you to request a connection. If it's not a desired match, you can simply select the back button to return to your previous search results. The APhA Ambassador Program connects experienced APhA members with other members who want to become more engaged in the Association or who have a question about specific APhA member benefits. Any APhA member can seek out an APhA Ambassador to help answer quick questions, learn generally about opportunities to get involved, or gain advice on how to customize his or her personal APhA experience. Follow the steps above to enroll as a mentee. Search for a mentor by selected "APhA Ambassador" under the Mentoring Relationship Type category. You can browse the profiles of the available APhA Ambassadors, select one that aligns with your questions or interests, and send a request to connect. Your mentor will reach out to you once that request has been made! Questions? Contact Lindsay Kunkle at lkunkle@aphanet.org. 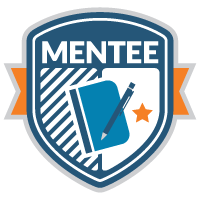 Disclaimer: The Mentor 360: Professional Connections is an APhA members-only benefit program for pharmacists that pairs individuals seeking to learn more about key pharmacy interest areas with others who have identified those topics as areas of expertise. Participation in the program is entirely voluntary and at the sole risk of the participants. The mentoring program is provided “as is” by APhA, without warranty of any kind, either expressed or implied. All participants agree that they will conduct themselves in a proper manner at all times and will not use any part of this service to perform any act in a manner that is unlawful, illegal, false and/or defamatory, abusive, hateful, harassing, libelous, harmful, threatening, or otherwise objectionable. APhA makes no warranty that any particular level of mentoring services shall be provided. Participants in the mentoring program hereby release, discharge and hold harmless, APhA and its Officers, Directors, Trustees, Employees, Agents, and Representatives from any and all liability, claims, loss, damages or other legal responsibility arising directly or indirectly out of or relating in any manner to the APhA mentoring program. Participants agree that this release and waiver is to be interpreted as broadly and inclusively as is permitted by law, and that should any portion of it be deemed unlawful or unenforceable, the remainder shall continue in full force and effect and shall be interpreted as closely as possible to the intentions expressed herein.